The Pride of Portland Chorus is a 501(c)(3) educational non-profit organization and donations are tax-deductible. And as a non-profit organization, we rely on the generosity of individuals like you to support our ongoing efforts to bring the barbershop art form to others. You can support our mission of musical excellence and education by clicking the above button and making a donation via PayPal. Our tax ID is #23-7050719. 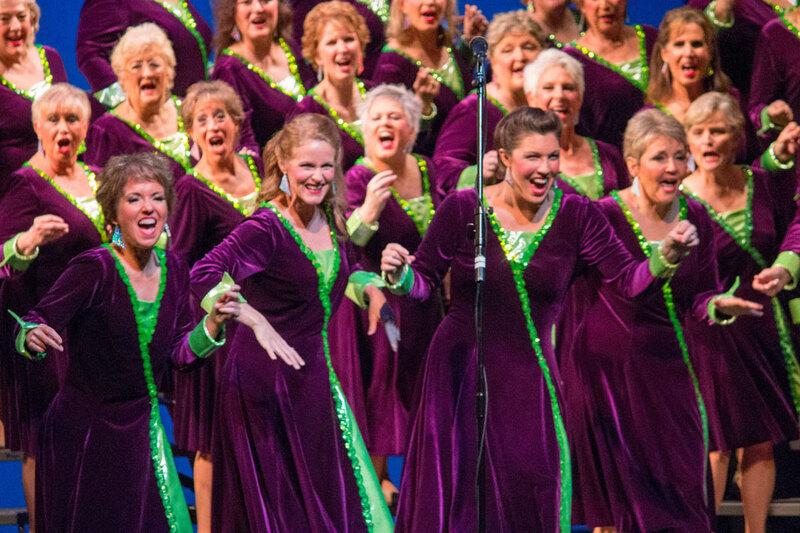 Your donation to Pride of Portland Chorus can go even further! The Oregon Cultural Trust (OCT) supports cultural nonprofits that inspire our children, preserve our cultural treasures, and foster Oregon's reputation as an incubator for new ideas. You can be part of this mission by supporting Pride of Portland Chorus (one of the 1450 eligible groups), matching those “gifts” to Pride of Portland with a gift to the OCT, and taking Oregon's generous and unique state cultural tax credit (up to $500 per individual, $1000 per household, and $2500 per Class C corporation). What do you need to do? First, make a donation to Pride of Portland Chorus. Then make a matching gift to the Oregon Cultural Trust. Finally, claim your entire gift to the Trust as a tax credit on your Oregon tax return. See culturaltrust.org for complete donation information. Our Spring Fete is an annual event that attracts sponsors/donors from all over the Portland metro area. Thank you to our wonderful 2017 Spotlight and Stage Sponsors, and generous donors and guests! Our 2018 Fete will be held Saturday, July 21, from 5:30 to 7:30 pm at the Historic Oaks Park Dance Pavilion. Be sure to reserve your seat or table early. If you are interested in becoming a sponsor, check out our sponsor form on the Support/Patronage page. In the fall we put on our annual show. It is one of our biggest fundraisers and enables us to earn money while doing what we love to do most: entertain an audience! For more information, visit our webpage.